StartLocal is a new initiative at FCR Media (publishers of goldenpages.ie) which has been setup to support tech Startup companies in Ireland who are creating new innovative solutions to help local merchants. StartLocal will be housed at the offices of FCR Media based on Baggot Street, Dublin 4 and is aimed at providing a collaborative space for up and coming innovative Irish Tech Startups to grow their companies over a period of 6 months. FCR Media Ireland are part of the FCR Media Group which is present in 12 countries through out Europe and is a leader in local search and advertising. As one of the largest digital marketing agencies for local merchants and SME’s in Ireland we are very proud to be supporting StartLocal. Over the coming weeks we will be selecting teams to join StartLocal. The first team to join us is PopDeem, they have recently been invested in by Delta Partners and Enterprise Ireland. PopDeem provide a social marketing platform for brands and local merchants to drive online engagement on social networks. What we ask of you is that you share your vision for innovation with our teams at monthly meetups over lunch! 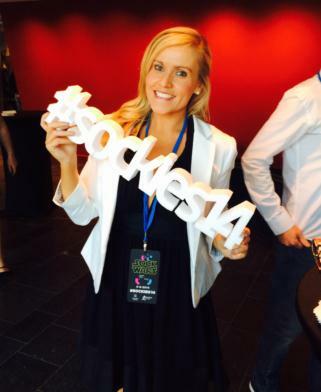 On Thursday the 5th of June at the Bord Gais Energy Theatre, social media experts and marketing folk from across the country gathered for the award show to beat all others, The Social Media Awards or more lovingly known by their hashtag the #Sockies! The Social Media Awards were first launched in 2011 to recognise companies for their innovative and business-focused use of social media. Last year 450 people attended the event, however, this year that number increased to over 500. The awards are the brainchild of Damien Mulley one of Ireland’s foremost experts on Social Media and Rick O’Shea, 2FM DJ and social media aficionado! 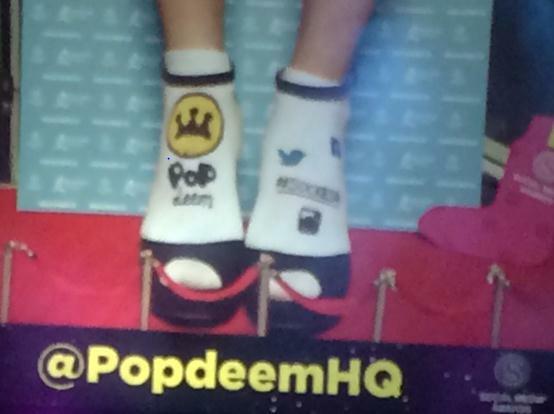 Popdeem won the #Sockies Cat Walk award with their highly inspiring customised socks! Upon entering the Bord Gais Energy Theatre, anyone wearing socks was asked to participate in the ‘Sock Walk’ which had an overall winner for the best socks. Once through the sock walk, guests were presented with ‘Fish n Chips’ style food which seems to be a change from previous years. Maybe they wanted it to be more of a social event?! The awards ceremony was hosted by RTE 2FM DJ, Rick O’Shea, who most definitely brought the fun factor to the night. Throughout the night sweets, crisps and chocolate were thrown into the crowd to keep them on their toes, literally! He engaged with everyone in the theatre, moving around and making sure everyone got something! He brought an element of ‘Panto’ to the night, adding to the fun atmosphere. The FCR Media Team gained a great insight into how some of Ireland’s biggest brands use social media to run creative and engaging campaigns to get their message across to their customers. Centra, winning 3 awards and the Grand Prix award, really showed us the impact social media campaigns can have on businesses, and what can be achieved if you invest time and effort into your campaign. It certainly gave us determination and drive to be on the stage next year collecting awards for FCR Media and our clients! Congratulations to this years winners of the 2014 #Sockies! 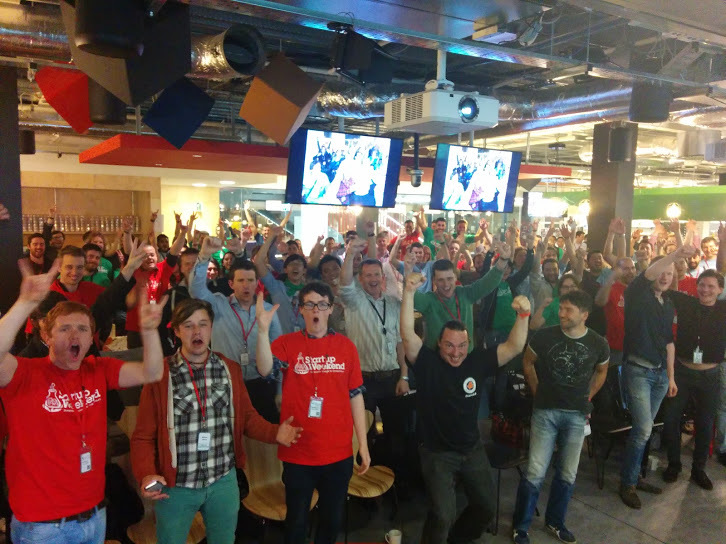 During the weekend of June 6th – 8th 2014, 135 people descended on Google Ireland in the hope of creating or joining a technology Startup over a 54 hour period at this year’s Startup Weekend Dublin. To support these attendees our Product Manager at FCR Media, Gene Murphy lead a team of dedicated volunteers including Ruta Dante, Stu Fergus, Andreea Blande, Matt Gonzales and Gianfranco Palumbo. In the 4 months running up to that Friday night opening ceremony, countless hours had been spent in piecing together the best of the best in business, technology and design mentors, speakers and coaches to help the attendees and their fledgling Startups during this fast paced business based weekend. During this 54 hour period 63 people pitched their next generation tech idea and by the end of Friday nights opening ceremony, 20 ideas had made it through to the final (up from 15 at last years’ event). The last body of work for these team captains was to win over the other attendees to join their teams to help fill in the gaps that they needed with skill sets such as designers, developers or more business people. Once these teams were formed they began to piece together what their winning formula for success would be as they had little more than 48 hours to get ready for the finals. 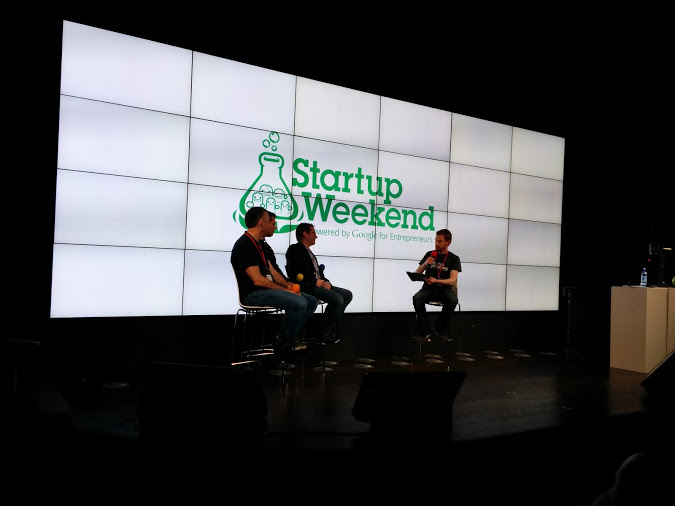 By Sunday night teams would be pitching to a panel of esteemed judges made up of business, technology and media individuals to see who would be crowned this year’s winner of Startup Weekend. A big goal of the weekend is to make sure that all attendees had the opportunity to get a rapid insight in to how a tech Startup can be built, validated and grown. In 54 hours trying to get all of this accomplished was not going to be the easiest of jobs, so we called in some professionals! 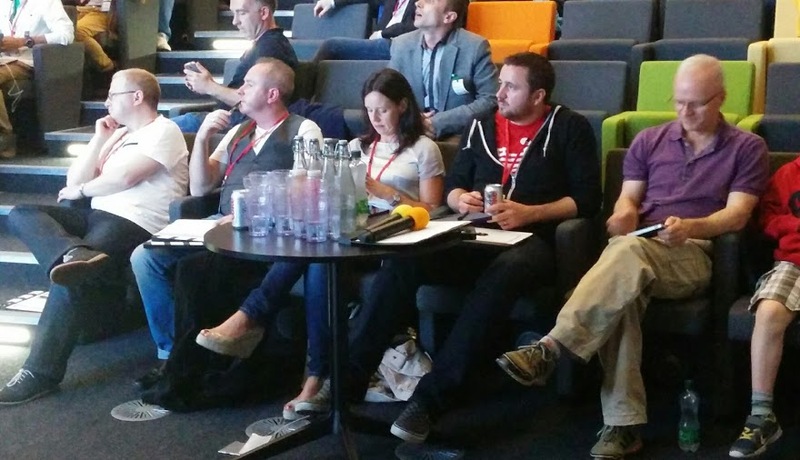 During Saturday over 40 of Ireland’s brightest and kindest mentors in the areas of technology, business, marketing and design gave their time to sit in with and support the 20 teams. 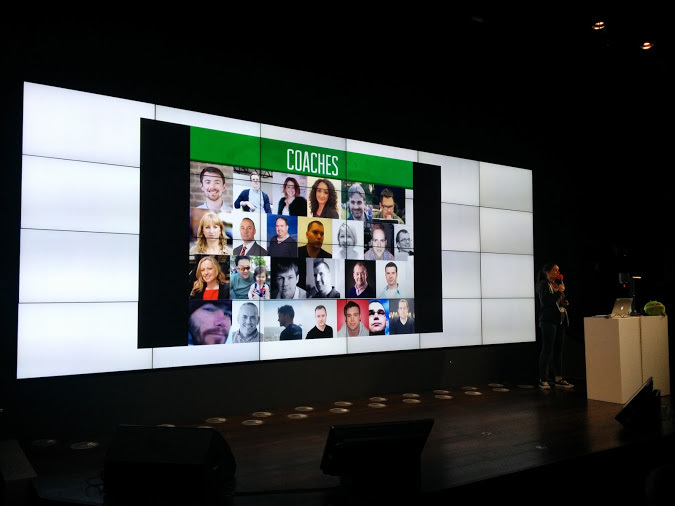 Some advice was so good that one time split in to two different teams which brought our overall number up to 21 Startups formed out of the weekend! Mentors came in from across Ireland to Google and DC Cahalane from TeamWork.com ( an amazing project management tool for all business types) spent not only Saturday mentoring but chaired a 20 minute marketing talk that was so popular that he ended up speaking for close to 5 hours with team after team that wanted to gain great insights from his marketing experience. 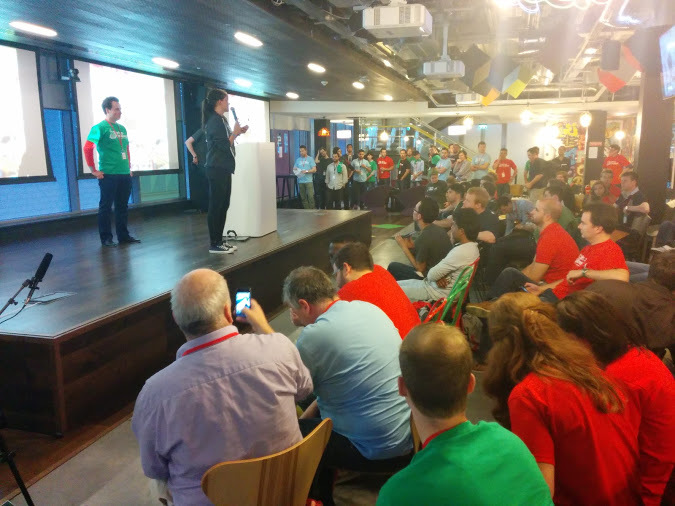 After 50 hours of team building, idea refinement, rapid mentoring and presentation perfecting our 21 teams were into the last 4 hours of Startup Weekend and were ushered into the Google Foundry event centre for the grande final. Judges on the evening included Paddy Flynn of Google, Anna Skally of KPMG’s Innovation Team, John Kennedy of Silicon Republic, Steve Flinter of MasterCard’s Start Path Accelerator program and the long standing judge Eamon Leonard of Engine Yard (who interestingly enough has been a judge at virtually all of the Startup Weekend competitions in Ireland, a true tech startup community champion!). Attendees on the night included our fabulous mentors, Startup community leaders and individuals that wanted to learn from the pitches as to how they could improve their skills. After 3 hours of pitching with everything from Twainers a Tinder style app for finding Running Partners to Insurance pricing simplified (Insurify) and many, many other great Startup ideas the pitching ended. The Judges left to deliberate which team had made the best impact over the weekend in the areas of technology, business planning and marketing knowledge and we were treated to a fireside chat aimed at helping attendees understand that although the event was over, there were lots of ways to keep working on their Startups. This included Gary Leyden of the National Digital Research Centre (NDRC) Launchpad Accelerator, Eoin Killian Costello of the Hot House New Frontiers program (Ireland’s largest program to support early stage entrepreneurs) and Martin Kelly from Health XL (a specialized 2 year program to develop next generation health Startups in to fully formed companies). The overall advice from our panel was that you need to figure out who your customer really is, size them up to see if there is a real market opportunity and get them paying to use your Startup! The Judges had deliberated and it was time to give their verdict. The judges comments were very motivating to the teams involved over the weekend as they were extremely impressed as to the level of research, quality of presentations and follow on potential for many of the Startup ideas that had formed over the weekend. The first award was for best pitch sponsored by ourselves at FCR Media which went to Tracy Keogh of Insurify, an app designed to help people get better pricing for their insurance quotes. Tracy, by her own words, had attended the event solely as a participant, but had been swept away with the energy of the Friday night pitching that she pitched her own idea, formed a team and won best pitch! 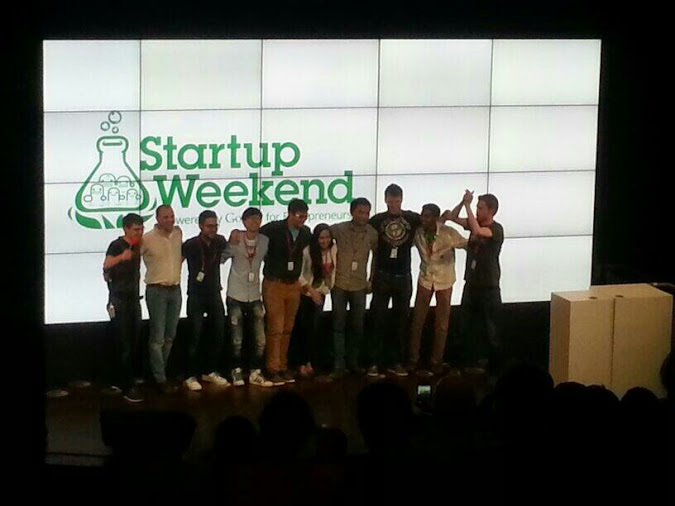 After Tracy left the stage it was time to announce the 3 overall winners of Startup Weekend Dublin 2014 with top prize being a support package from Google For Entrepreneurs worth €10,000. 1st place was taken by Simplifly an in air app to help you shop from your mobile device, 2nd place went to prediction app ToldYa and in 3rd place was the Tinder style app for finding running partners Twainers. 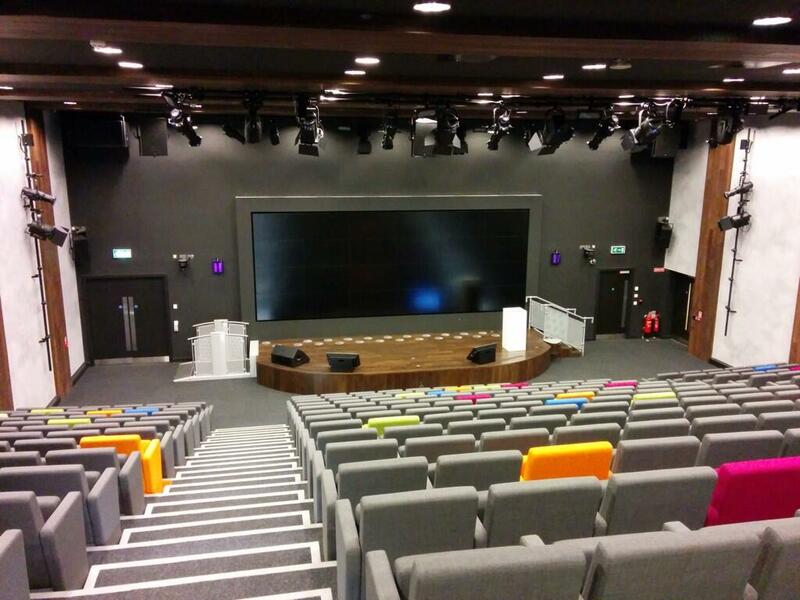 All that was left to do at that point was turn off the lights, power down the laptops and clean out the venue. 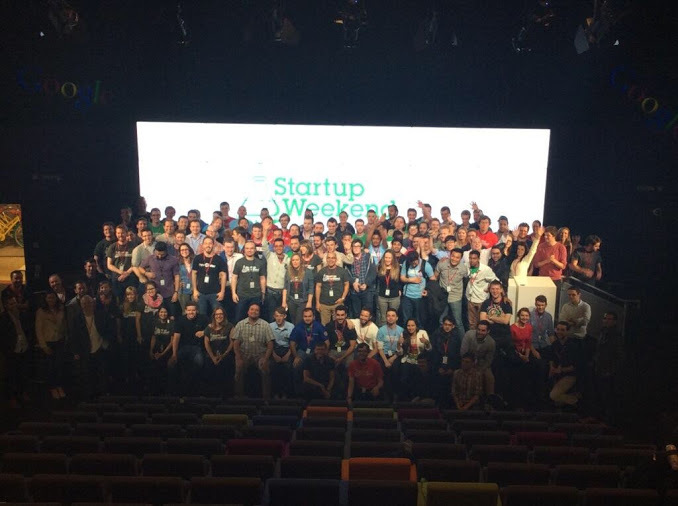 As the phrase goes, ‘Mighty Oaks from Small Acorns grow,’ and from everybody at FCR Media we would like to wish all of this years 21 companies formed at Startup Weekend Dublin the best of luck growing their companies. We thoroughly enjoyed supporting this event with our team of mentors and organizers and from the comments of the participants after the event, I think these Startups are ones to watch long into the future! Insurify, Photobrag, SimpliFly, Soundbits, Inspirovate, Oneplace, Toldya, Back2Base, Paddybaba.com, Wunnado Roomies, DiaLog, Twainers, Easy Job Search, Grease Monkey, Lunchtime, Boombox, Inspired Startups.com, CaaS, Bitmerchants and Fare Enough. Images thanks to the great skills of Anatoly Lebedev and our teams over the weekend. Are Coupons for Your Business? ***15,000 copies of the Voucher Book distributed at the event – straight into the hands of visitors! ***FREE WiFi surrounding the goldenpages.ie stand – Your offers will be pushed out through Location Based Advertising! ***Online Exposure through goldenpages.ie OfferAlerts service – Every month there is an average of 1.2 million visits to Irish businesses on goldenpages.ie desktop & mobile platforms!